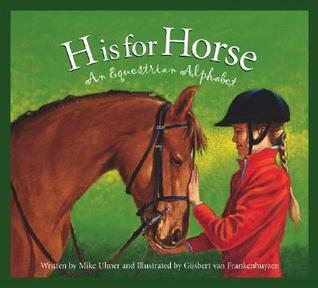 Readers are taken on an equestrian tour of the alphabet. Each of the 26 letters are shown in both lower and upper case, each has a short 8 line poem about the horse terminology featured, and each has factual information about the terms. This is a great introduction for novice horse lovers as well as a more in depth study for the horse aficionado. 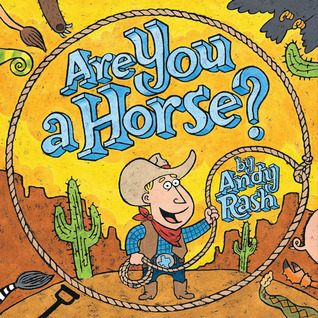 This funny horse tale will have young readers giggling and turning the pages as fast as a galloping stead. Roy is a cowboy who gets a new saddle for his birthday. The only problem is that Roy doesn’t know what a horse is. He begins by asking a wagon, a cactus, a snake, a crab, and a chameleon. Then he asks an owl, a pig, and a sloth, a lion, and a zebra. Finally he meets an animal who has legs, was friendly, didn’t change color or lay eggs, was clean and fast, ate grass, and didn’t have stripes. Roy asks the horse if he would like to go for a ride. The horse said ‘yes’ and so they did… the horse rode Roy!